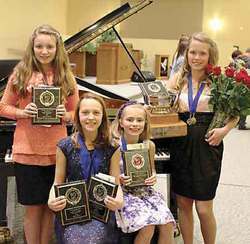 Michaela Strydom Overall Intermediate Piano Performer, Alayna Chrunik Overall Piano Grade IV & Under Performer & Overall Vocal performer 11 years & under, Megan Strydom Overall Dr. Richard Bellamy Junior Piano Performer, Hannah Anderson Overall Senior Piano & Rose Bowl Recipient. Photo Submitted by Maria Chrunik. What were you doing the evening of Friday, April 4th? What you should have been doing was joining the approximately two hundred and fifty people who crowded into the Wetaskiwin United Church to experience the final concert of the 35th Annual Wetaskiwin Music Festival. This incredible evening wrapped up a weeklong festival hosted across multiple venues throughout the city, involving over 1200 musicians, singers and musical theatre performers of the arts. The festival, formally known as the Kiwanis Festival, has for the last ten years been organized by a board of dedicated and passionate individuals who are supported by a collective of sponsors, volunteers, music teachers and their students, and the arts community of Wetaskiwin. Master of Ceremonies, Scot Lorenson, began the evening by introducing the talented Julia Marquardt, overall vocal performer, who led the way for a series of young artists who boldly sang or commanded the Petrof Grand Piano in front of the substantially large and appreciative audience. Overshadowing their clear cuteness (little yellow dress and pony tails, blue dress shirt with very neatly combed hair, pirates, pink panthers and Argentinian Tango dancers), it was the skill and confidence that these young people displayed that attracted the most attention. Though each performance warrants mention, I can only try to provide a sampling of the evening’s entertainment. Mya Harris presented the first of four Musical Theatre pieces, ‘If I only had a brain’ from the Wizard of Oz. Watching Mya, LJ Edulan as the rabbit in Alice in Wonderland, Krya Gusdal A.K.A. Snoopy, and the teenager who just wanted her blue hair, Shayla Fiveland, one could see the beginnings of stardom through their facial expressions, vocal talents and just the sheer enjoyment of what they were doing. These four clearly loved performing for us, and in turn, won us over. One surprise for me, an admitted somewhat musically inept individual, was the skilled Piano Trio of Colbi, Julienne and Carly. I never even knew there WAS such a thing as a piano trio. The evening also offered a violin duet by Rebekah Matthias and Erinna Thomas, a instrumental by the Queen Elizabeth Woodwind Ensemble and the performance of the over forty member choir “Dolce Canto (meaning: sweet singing).” Though I confess I likely never would listen to a choir at home or in my vehicle, I had to remember to take notes as I was mesmerized by the power of the different parts blending their voices together under the skilled leadership of Director Paul Sweet, retired Music Teacher of Wetaskiwin Composite High School. The final performance of the evening was by the Belle of the ball, Overall Senior Piano winner and Rose Bowl Recipient Hannah Anderson. Other Overall Performer winners include; The previously mentioned Julia Marquardt, Alayna Chrunik for Piano Grade IV and under, Megan Strydom for the Dr. Richard Bellamy Junior Piano, Michaela Strydom for Intermediate Piano, and Alayna Chrunik for vocal Performer 11 Years & Under. 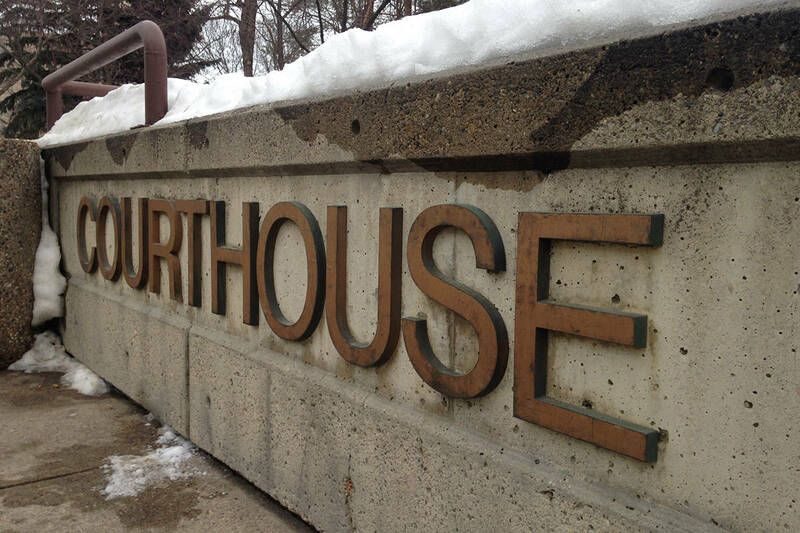 Many of the talent displayed at this year’s festival will go on to represent Wetaskiwin at this year’s Provincial Music Festival in Edmonton; May 6-9 (Choirs), and May 28-31 (Soloist). Three choirs will represent; “Women in Song” – Director Audrey Dowler, WCHS Concert Voices – Director Sandra Hall, and “Norwood Elementary School” – Director Jane Gusdal. Soloists representing our region will be Hannah Anderson, Laura Jamha, Michaela Strydom, Alayna Chrunik, Kyra Gusdal and Shayla Fiveland. Bev Sweet, one of the key organizers of the Wetaskiwin Music Festival, relayed her passion that Wetaskiwin and district needs to know what remarkable talent we have here, and that, “sports and the arts can live together in harmony in Wetaskiwin.” Many of these multi-talented young people can be described by having music sheets in one hand, and a hockey stick in the other. Despite the long winter that never ends, after experiencing this wonderful evening, our future looks bright.